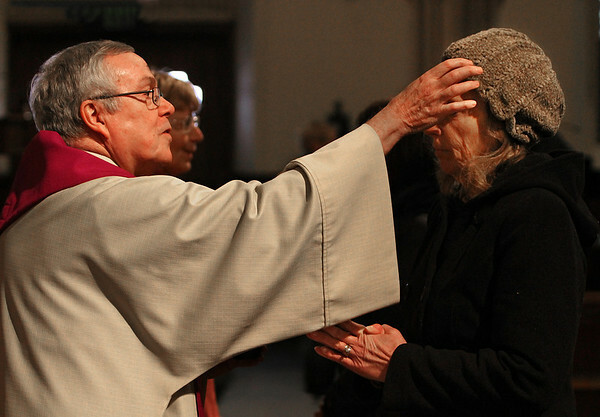 Father John Kiley, pastor of Holy Family Parish, rubs ashes on the forehead of a parishioner yesterday during a noontime Ash Wednesday service at St. Ann Catholic Church in Gloucester. Ash Wednesday is the first day of Lent, a Christian period of prayer and fasting that ends 46 days later with Easter. Ashes are spread on the foreheads of the faithful as a reminder of human mortality.